Dave and Busters has lots to offer. Every location is a bit different so be sure to check the one closest to you when planning a trip. Our location offers bowling. This is one of the first areas as you enter the building from the parking lot. (If you enter through the mall, you will come right into the game room.) If you only want to bowl, you can do just that. 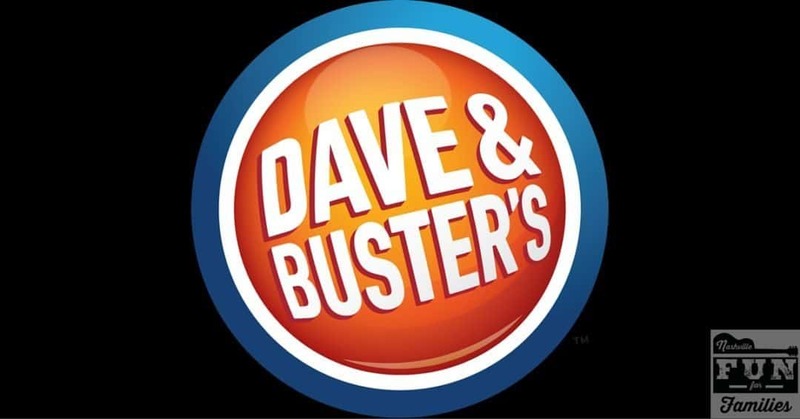 All Dave and Busters are full sit down restaurants. There is a hostess area in the front. Just let the employee know what you want to do and they will get you started. We usually have a meal here in addition to game playing. Dave and Busters features a large menu with lots of different options. If you plan to eat, do that FIRST. If your kids are anything like mine, once they start playing games any hope of a meal is over. There are lots of areas within the restaurant to eat. Here’s another choice to make carefully. There are lots of tables in the game area. There is also a full bar right in the middle of this area. So…a couple of things to know. If you don’t want to have your children around people drinking alcohol, I would avoid going during evening hours. The staff at Dave and Busters is very well trained. I have taken my children to several locations while on vacations and at home. I have never had any problem with ‘unbehaved’ adults. That being said, YOU know what you are and are not comfortable with in regards to your children. We always request a seat in the dining area away from the game section. We do so for two reasons. 1. The noise level in the game area is WAY LOUD! It’s almost impossible to hold a conversation over the roar of the games. 2. Our children can not focus on eating with all the excitement of the games in the same room. Maybe you love noise and excitement? If so, ask for a table right in the middle of the action! One of the best ways to enjoy Dave and Busters is the Eat and Play Combo and/or Half Price Wednesdays. The Eat and Play Combo allows you to get a meal and a pre-loaded game card for one price. The Power Card is the game currency at Dave and Busters. You can purchase them and load them with money at a kiosk in the game area or you can order them from your server during the meal. Whether you have a meal or not, the Midway at Dave and Buster’s always seems to be the main attraction. This place is PACKED with games. There are driving games, ‘claw’ games, huge versions of some of your favorite video games and so much more. Each of the games has a card scanner. The scanner will tell you how much each game is to play. Once you scan your card and play, most of the games pay out tickets for winners. Dave and Busters will provide you with a large plastic holder for your tickets. Keep up with them for redemption when you are finished playing. Keeping up with the cards can be a challenge (especially if you have more than one child!) I get my kids (ages 10-16) their own card and write the names on the front with a Sharpie. If you have younger kids, one card will probably work better and be a lot easier to keep up with. Dave and Busters is not primarily a ‘kids’ place. For this reason, I don’t let my children have the run of the place. We try to stay in the same general area and move around together. Once you are done playing it’s time to haul your tickets to the Winner’s Circle! First you will need to redeem the tickets. An employee will take your card and then weigh the tickets. The number of tickets is added to your card and you can go ‘shopping’ for prizes. If it is busy, this process can be frustrating. It involves two different lines and lots of shopping time (unless your kids aren’t as picky as mine!) And remember, keep the cards for your next visit! Dave and Busters can be a fun family option. Try it on a Wednesday when games are half price and look for specials to make the whole experience more affordable.